Have you ever thought, I mean truly thought, about how emotively aware you are in your everyday life? Now, ten-fold that awareness and that’s how much thinking should be going into your work environment. Last week, myself and two other IE team members attended The Australian Institute of Management’s Leading with Emotional Intelligence training. Entering with no expectations, my main aim was to learn some tools for empowering others to produce great results at work. As defined in the manual provided for the course: “The Emotional Intelligence short course provides practical models, tools and techniques for applying emotional intelligence at work and improving your impact, influence and resilience as a result.” What I didn’t expect, was to also find new ways of applying emotional intelligence in my everyday life. 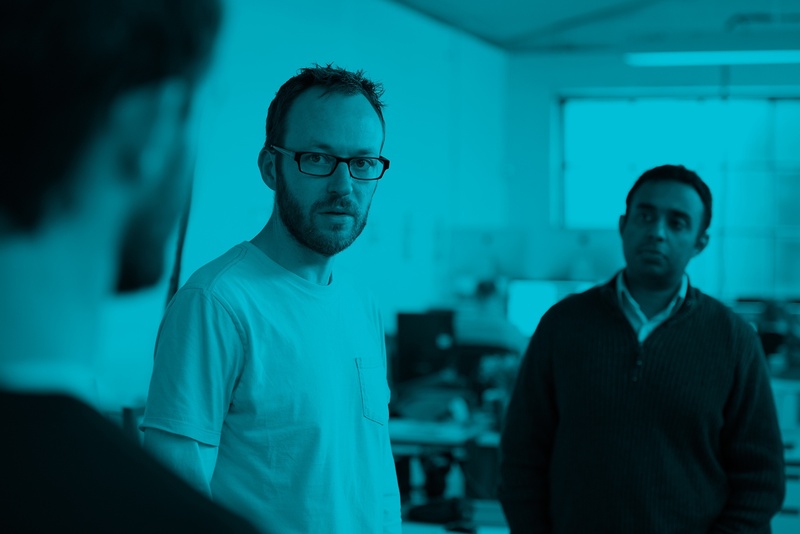 From the first collaboration exercise, it became clear that emotionally intelligent people were likely to be better leaders and enable not only their teams to thrive, but their organisations. 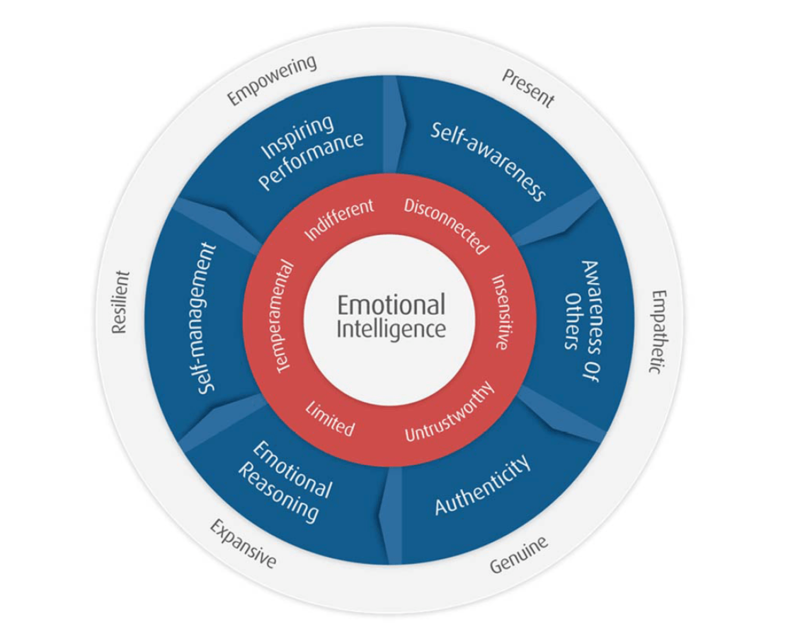 The Genos model of emotional intelligence highlights the competencies more emotionally aware people generally possess, to varying degrees. By drawing practical insights from this course, I’m hoping to enable others to become more emotionally intelligent leaders. Here are the top five things you need to know in order to lead with emotional intelligence. The Empowering Leader – facilitating high performance in others through problem solving, promoting, recognising and supporting others’ work. If you clearly identify with one of these six as being your strongest area, maybe you can think about how to improve or expand upon the others to increase your overall emotional intelligence and your leadership skills. Generally, people use their ‘Should-Manual’ in stressful situations, like conflict. It’s important to recognise when this is happening and determine an alternate route. Take, for example, the situation of a colleague turning up late and unprepared for a meeting. Instead of reprimanding them and showing outright frustration, think about the circumstances surrounding the situation and be empathetic. Maybe they’ve been stuck in traffic? Instead of reacting, ask kindly that they be on time for the next meeting. Quite often it’s not worth having an argument over small, non-issues. By taking this all into account, managers will become better at understanding and interpreting the correct approach to feedback on an individual level, as well as organisational. The Meyers Briggs personality test and mapping is highly regarded, and as such was discussed in our training. What is not well known, and what we learnt quite quickly, was a new way to look at this personality framework through the lens of helping you to understand individual behaviour. When you look at situations, and effectively behaviours, through this prism it is much easier to understand and empathise. As an example, you’ve decided one of your team members has done a fantastic job on a project. So, you proceed to announce the win to everyone and highlight her achievements. This team member feels extremely uncomfortable as a result and isn’t happy. What did you miss? The fact she is an introvert, who senses situations, thinks a lot and is potentially a judging person. This type of action better suits an extrovert, so maybe next time don’t publicly share her achievements, but rather do something small and meaningful in private. With all this in mind, Nathan quite obviously handled the situation with grace, right?